It the past, children, teenagers, and adults socialized by meeting together and/ or talking on the telephone. Nowadays, teenagers may brag about how many “friends” they have on Facebook while they have never socialized with most of those friends. When you can find out what somebody is doing on Twitter, there is no need to call that person to see what his plans are today. Even more bizarre is finding out what the people are doing whom you have never met. An example is reading a stranger’s tweet about what they are having for breakfast. Where strangers are concerned, the person tweeting is deceived into thinking that the other strangers are concerned about every breath he breathes. The person reading the tweet is deceived into thinking they are friends. Both are deceived into thinking they know what constitutes a friendship. Honestly, even your best friend usually doesn’t care about knowing what you had for breakfast. Life is about caring deeply about things that directly impact your world. It is about connecting with others through a variety of ways with a great deal of depth. When you are immersed in computer and communication technology, it feels like you are on the outside of life looking in, rather than being a total participant. The technology gives us a relief from the pressures or boredom of ordinary life. It may end up becoming an escape from life and becoming a sort of life itself. Because of that, people are now finding themselves actually addicted to computer and communication technology. This hurts not only close relationships but, for many people, it hinders their effectiveness in their careers. Artists and dealers know that art must be experienced in person in order to truly appreciate and understand it. 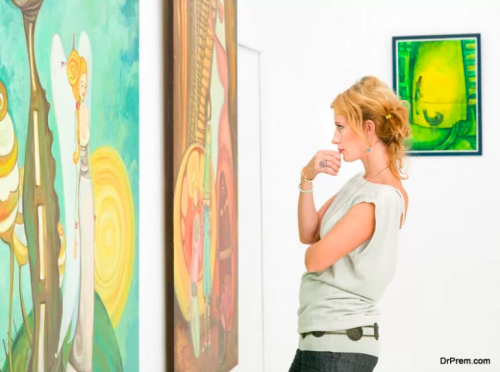 It is actually risky to buy a piece of art online. It is like seeing a potential date only to find that the person’s looks and personality are totally different from the online profile. An art gallery is also a place to go to meet up with friends, exchange ideas and build community. Philippe Hoerle Guggenheim is the owner of HG Contemporary Art Gallery in New York City. His desire was to open an art gallery to bring artists together, to encourage them to connect and experience the feeling of living with art. In this age, we need to fight to receive what we have allowed to bestolen from us. Going to concerts and art galleries are only two suggestions but there are many more ways to connect offline with people. Searching out ways to maintain healthy connections is a must for mental health. You may regret not doing that in your lifetime, but you will never regret seeking it out.